LOTUS Alliance addresses human trafficking and forced labor through socially responsible tourism. We are working globally to fund and promote job training and placement for adult survivors of human trafficking to facilitate reintegration and stem inter-generational trafficking and relapse rates through our socially responsible online travel agency. LOTUS Nomads increases consumer awareness and ability to select hospitality and travel service providers that uphold fair labor and human rights practices throughout their supply chains. 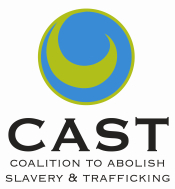 Nomads is honored to support the remarkable work of CAST LA. Nationally, we provide awareness and education seminars to schools and healthcare professionals on risk factors and identifying potential victims of human trafficking. Human trafficking is a USD 150 billion illicit industry that enslaves 28 million people globally. Further, the rate of relapse and inter-generational trafficking are particularly high due to economic and societal factors. The tourism industry is the largest employer in the world and an additional 60 million jobs are projected by 2018, primarily in emerging economies. Responsible tourism is growing up to 30% annually, however, primary focus areas are on green initiatives.